Richard Wells Conron, Jr., DO, FACS joined General Surgical Care in Bethlehem, Pennsylvania in 2000. His patients receive top-quality treatment thanks to his extensive experience in general surgery, including laparoscopic surgery, combined with his dedication to individualized care and promoting optimal health and wellness. After graduating with a bachelor of arts degree from the College of the Holy Cross in Worcester, Massachusetts, Dr. Conron entered the University of New England College of Osteopathic Medicine in Biddeford, Maine. He graduated with honors, receiving his Doctor of Osteopathic Medicine, then finished his internship at Allentown Osteopathic Medical Center, which is now St. Luke’s Hospital, Allentown Campus. 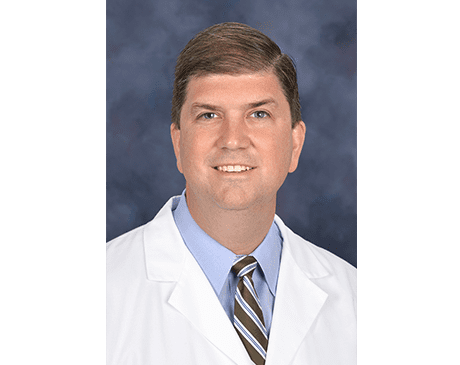 Dr. Conron completed his residency training in general surgery at St. Luke’s Hospital in Bethlehem, where he was the Chief Resident in General Surgery. Then he decided to put down roots in the area when he joined the team at General Surgical Care. Dr. Conron is board certified by the American Board of Surgery and is a Diplomate of the National Board of Osteopathic Medical Examiners. He’s an active member of the American Medical Association, American College of Surgeons, the Pennsylvania Medical Society, the Pennsylvania Osteopathic Medical Association, and the American Hernia Society. Dr. Conron serves as Chief of Surgery at St. Luke’s Anderson Campus and is honored to be an Associate Professor of Surgery at Temple Medical School, St. Luke’s in Bethlehem. He also holds a certificate for sentinel lymph node biopsy for melanoma and breast cancer.